First of all, congratulations for your wonderful UfoCapture software! It is really unique in its field. I am a member in a small Astronomy group in Spain, and we have been testing your demo version of UfoCapture for meteor registration. 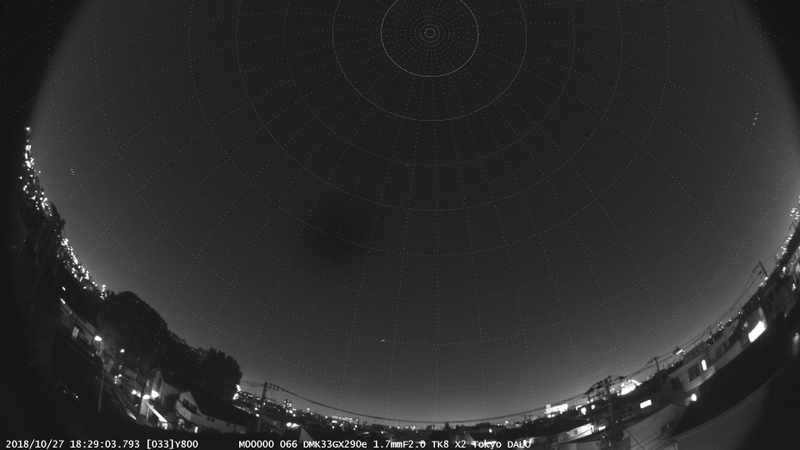 As you probably know, there are wonderful (and cheap) chinese IP cameras with really sensitive sensors which perform really great (25fps and you can see stars!!) . Sony Starlight Starvis cameras with IMX291 chip for less than 50$. We struggled to make them work with UfoCapture and we managed to do so with Vmix software, which creates a "virtual" camera which works with UfoCapture and accepts a rtsp imput. The results are really good, but Vmix license is really really expensive (700$ !!) and we haven't managed to make it work whith any other software because UfoCapture only accepts raw video. I read some posts where you said you didn't intend to support IP RTSP cameras, as they don't offer raw video or scientific quality, but I urge you to reconsider supporting RTSP protocol please. See attached results, and judge yourself. Oh, thank you for amazing information, it is enough to motivate something. It sounds it is entering a new generation. Besides RTSP, at least, I will test the sensor and the lenses. then it may become a big motivation for next. But, as you know, RTSP requires video compression which have variety and revolution. It concerns detection/measurement algorithm and requires fair test and development for each, for many type of events. So I have been searching methods that does not use compression. and saying "please solve problems by your pocket money if it is fair cost, and achieve what human could not do ever". Dear astrojucar, your results are very interesting! Congratulations! If it is possible, please write about lenses what you used. Whether UFO Analyser correctly works with all-sky images? I used cheap Aliexpress 1.8mm lens. (less than 7$). I am sorry but I haven't used UfoAnalyzer. I was triggered to search new cameras. Now I found there are UOFCapture compatible GigE cameras. I orderd ImagingSource GigE IMX290, so we will see the result within a month. Also, today, I am searching good IP cameras for trial. I am searching a camera with IMX290 or 291 monochrome chip. I believe this is color camera with IMX291 color chip. Have you used this to capture the excellent monochrome image above? Aliexpress 1.8mm lens. (less than 7$). Could you please teach me the page? I could not find a 1.8mm with C or CS mount on Aliexpress. Yes, my camera has both color and b/n mode. I only use it in b/n. There's a huge difference in terms of quality an sensitivity. The lens I used, I was mistaken, I'm using 1.7mm not 1.8mm. There are also USB imx 291 camaras now. Mine is just ethernet, rtsp but it's really cheap and the quality is pretty good for the money! It is industrial model, not low cost, but it seems excellent.... we wll get some result soon. GigE was very easy to handle, and was very stable. DMK33GX290e was nice for its cost !! 1920x1080/50p 1/50sec exposure w 4mm F1.2lens, UA2 recognizes down to mag5 star. so F2.0 Fisheye lens may be usable for UA2 measurement at 25fps, I guess. Here is another interesting thing - 1080P HD-SDI module. 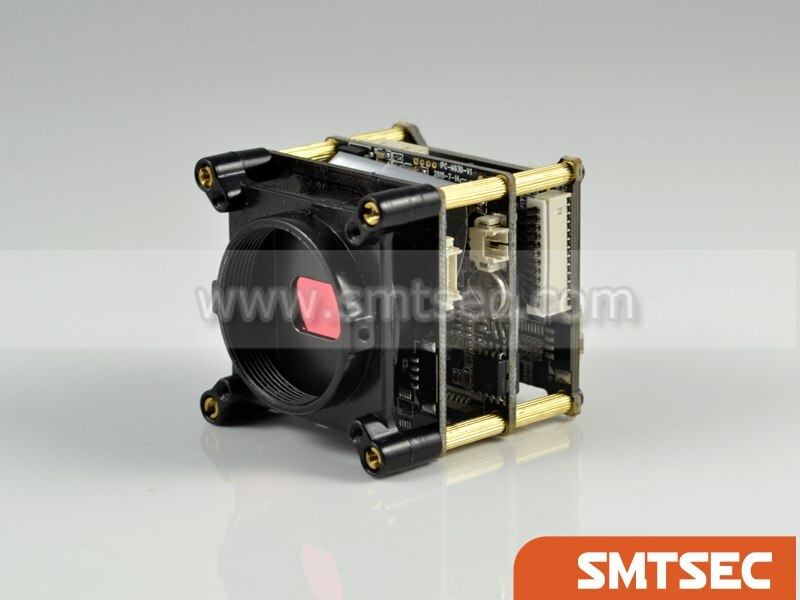 Based on Sony IMX385 1/1.8"colour sensor. 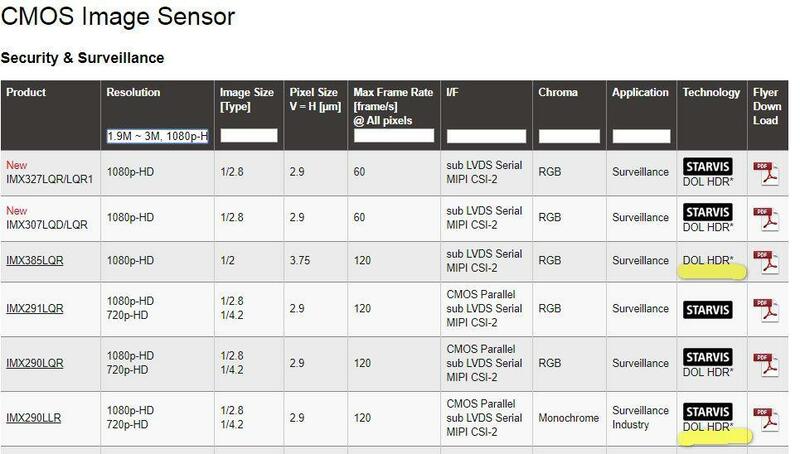 This sensor has a large pixel size - 3.75 μm, larger than that of IMX290. I do not have SDI capture card yet, so I tried this module only in AHD mode. I can say that the processor is very hot and it will be useful to glue the radiator to the processor for cooling. Thank you for posting. But IMX385 is color chip. In our experience, there is big sensitivity difference between monochrome chip and color chip. It is somewhat 10 times or more. IMX290 has both chip monochrome and color chip. I have tested both chip and the monochrome one was usable for night sky observation but color was not at all. IMX385 is SNR1s 0.13lx, while IMX290(color) is 0.23lx. So IMX385 has 40% better sensitibity than IMX290. But the difference between color and monochrome is far bigger, so I think IMX385 is not worth for our test. 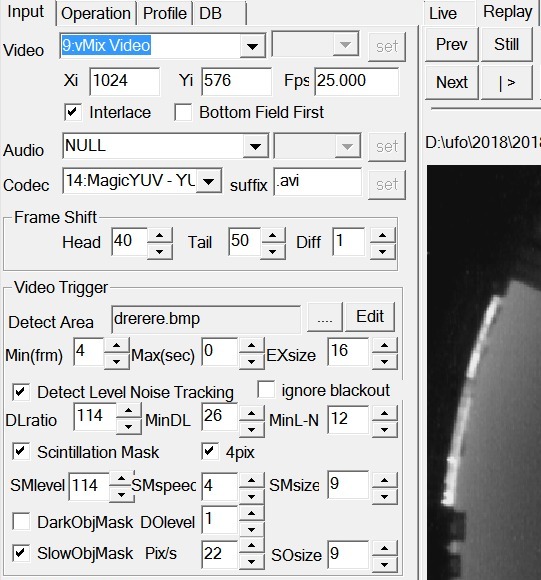 Now we need HD or higher resolution uncompressed video, Mag 3 star can be seen with good S/N, on the FOV more than 45degree, with frame rate more than 25fps, with reasonable cost. The one I found recently, was GigE camera DMK33GX290e + 4mmF1.2. Please let us know if you know the one that will satisfy the conditions. This is one of my first records with this IMX385 camera PCB. Lots of compression artefacts, as the video size is only 51 MB. But in the constellation Perseus, you can see the stars up to 5.1 (5.6?) magnitudes. Lens - Computar 8mm F0.8 - 53 deg horiz fov. Price - about JPY 11000. Thank you for a sample. It helps discussion a lot. I guess the frame rate was around 15fps. 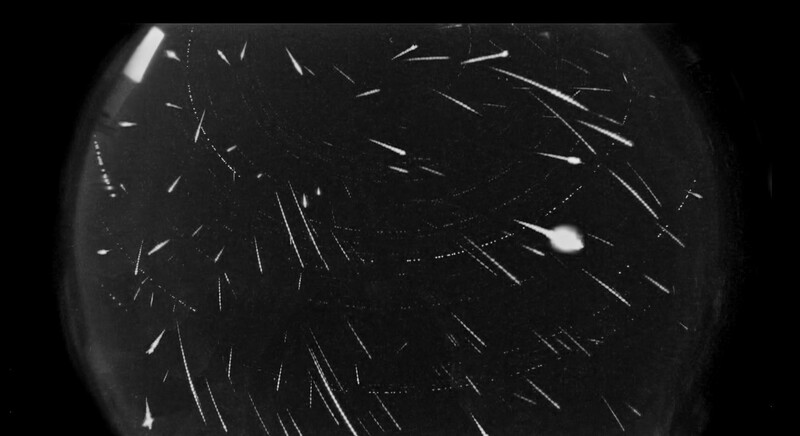 I think your video is one of precious record of meteors. As for the difference between monochrome and color chip, please test by yourself. 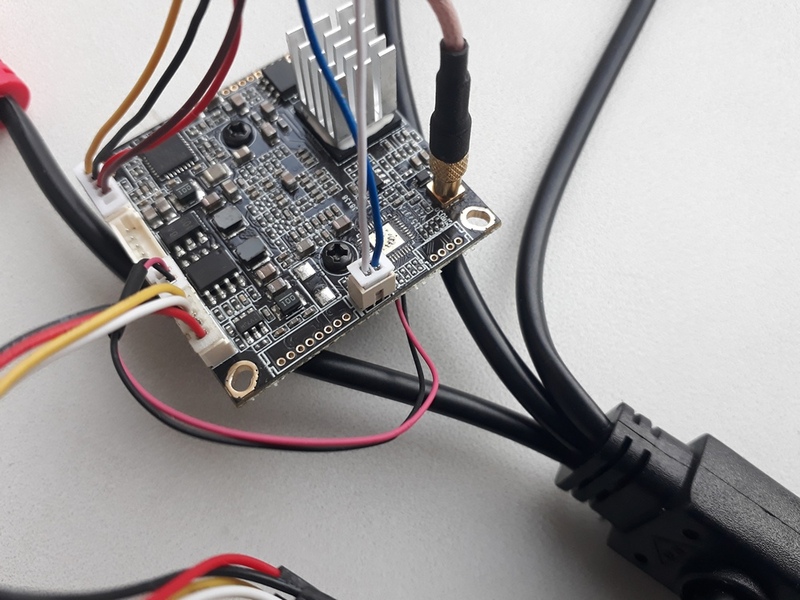 I think the difference is quite clear, and we will not use IMX385 because there is IMX290 monochrome. Below is my estimation of difference between your video and my DMK33G290e sample on the page liked above. so except other conditions, there may be 23.5 (3.3x3.1x2.3) times condition difference between them. Sorry I rewrite this post a few times. At first I wrote about HDR which can be used by IMX385, but I deleted the part, because it depens on the system and not sure. Thank you for a sample. It helps discussion a lot. Because IMX385 uses HDR, it is like gamma modification that make it difficult for brightness measurement. In my camera, HDR (WDR) mode is an option that can be disabled. I have not used this mode since high frame rates (50fps) are not available with the WDR. As far as I understand, in IMX290 mono there is also an option DOL-HDR. You have a very good camera, I do not doubt it at all. I'm just trying to find a less expensive solution. In addition, both of our cameras have one common feature - the so-called rolling shutter. 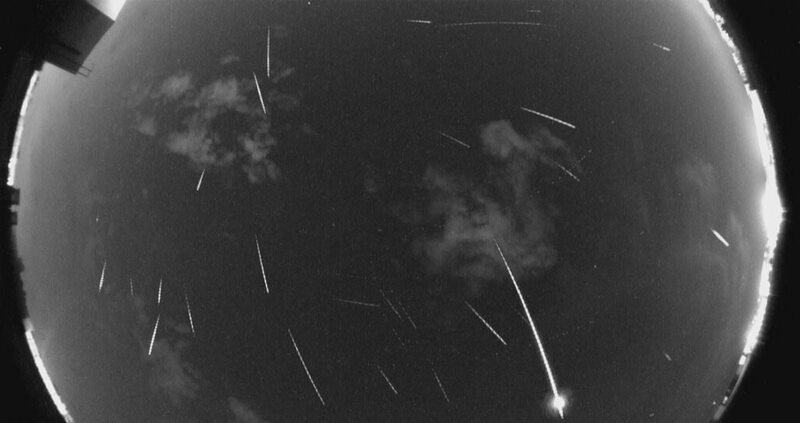 Finally, the only concern that remains is the influence of the rolling shutter on the centroids of meteors as they move across the image plane. 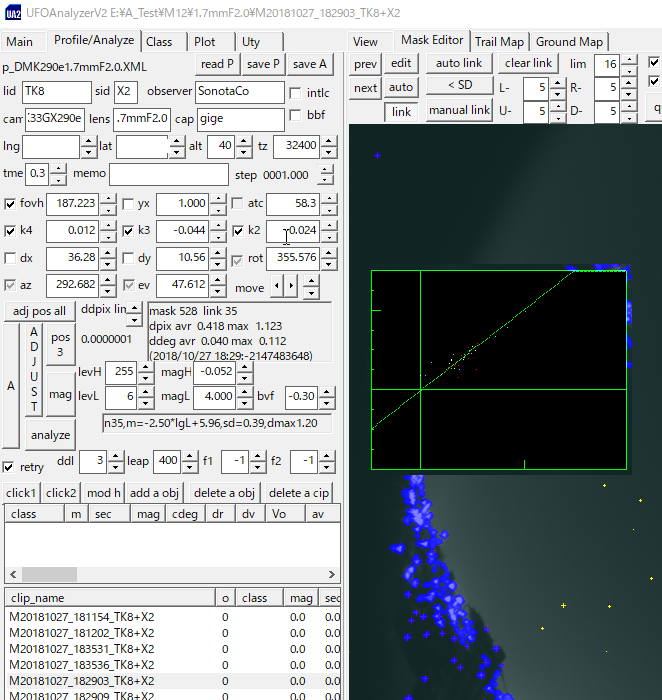 Early results of simulations are showing that it is negligible for slow meteors and meteors moving near-horizontally across the image plane, which means that the effect should be minimal for all-sky FOVs but may be of concern for moderate to narrow FOVs. In the future, I want to test my camera with an ultra-fast lens with a better megapixel quality than now. If you're interested, I could post the results at your forum. Yes, you are right. HDR or WDR is option. Once I wrote about it because Imaging source does not impliment HDR or WDR, while your board seemed using WDR. But now I know that it is not important for this discussion. Please let me know everything you find. I will research about it, and I will appriciate all of them. I tested DMK33GX290e(IMX290) + 1.7mmF2.0 5MP IR 1/2.5" $7.42 tonight.